January 2017. 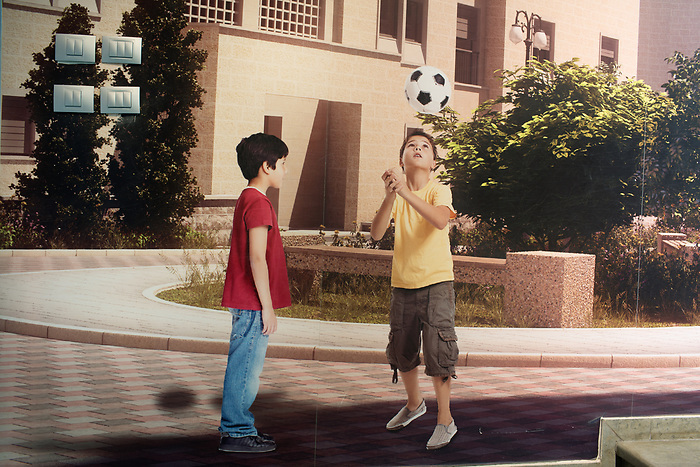 In the showroom, a promotional wall paper assembling pictures of children with the digital rendering of the future streets of Rawabi. All the models used for the marketing materials are Rawabi's workers and their families.